Open your eyes to bold new heights of drama and definition! 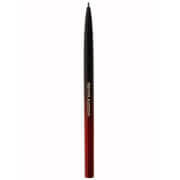 This dual-ended, self-sharpening pencil delivers a wakeup call to eyes with a double dose of color and illumination. Perfect your brows in a blink with the brow pencil tip and shaping brush, and make your eyes appear bigger and brighter with the soft pink illuminator. 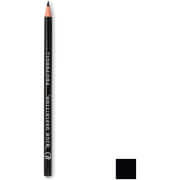 Using the brow pencil tip, apply colour using short, feathery strokes following the shape of your eyebrow. 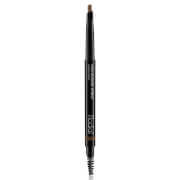 For brighter, bigger looking eyes, apply the eye illuminator along the water-line of the eye and under brows, using soft, short strokes from the inner corner to outer corner. Hello Bright Eyes: Ethyhexyl Palmitate, Caprylic/Capric Triglyceride, Euphorbia Cerifera (Candelilla) Wax / Euphorbia Cerifera Cera, Mica, Diisostearyl Malate, Microcrystalline Wax, PEG-8 Bees Wax, Bis-Diglyceryl Polyacyladipate-2, Polyethylene, Phenoxyethanol, Tocopheryl Acetate, Tin Oxide, Synthetic Fluorphlogopite, Titanium Dioxide (CI 77891), Iron Oxide (CI 77491), Carmine (CI 75470). Contains Carmine as a color additive.